Heritage Homes is a well-known home builder that prides itself on building quality homes with exceptional customer service. 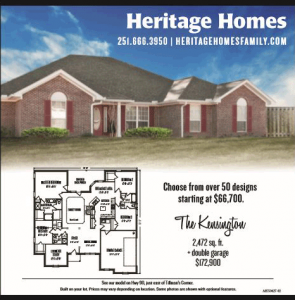 Located in Mobile, AL, Heritage Homes has the capability to serve families and home builders across south Mississippi, south Alabama, and the Florida panhandle. Through a strategic partnership with AMG focusing on print and digital advertising, they have been able to strengthen their brand awareness, increase site traffic and business, and reach more of their target audience than ever before. 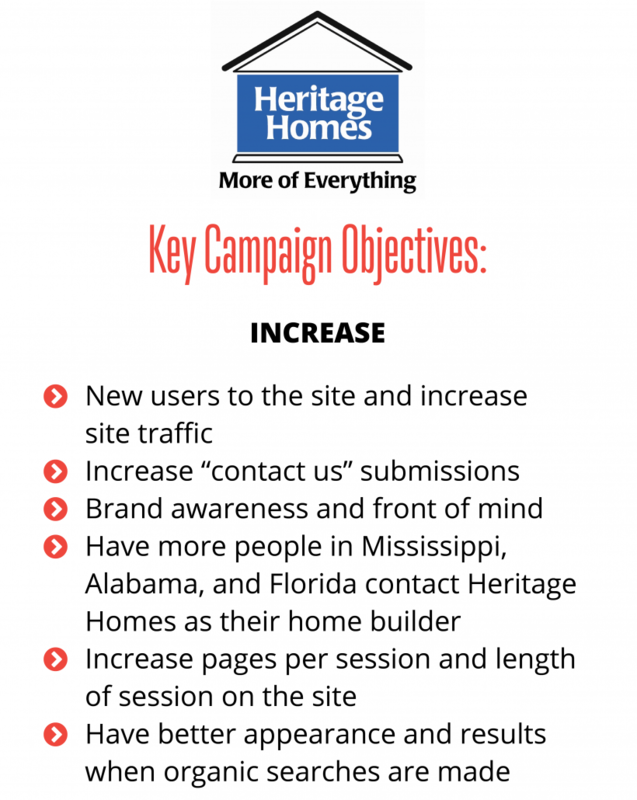 Find out how Alabama Media Group built brand awareness, acquired more leads, reached more potential clients and ultimately increased business for Heritage Homes. 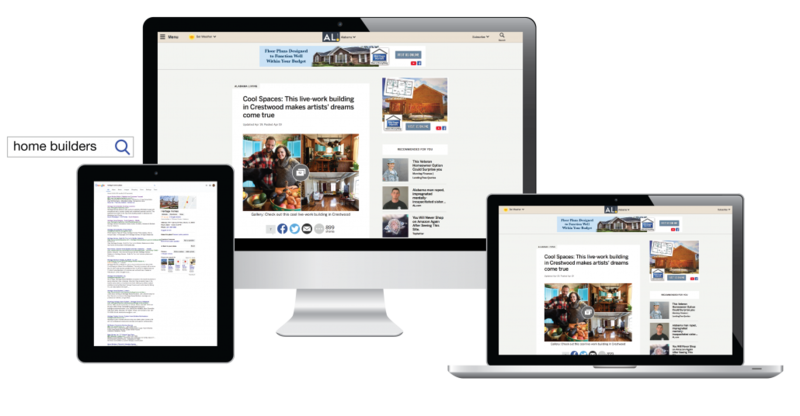 Alabama Media Group maintained Heritage Homes presence in newspaper advertising while continuously running a successful digital campaign. This layered approach continued to reach the print audience, which tends to be 40+, affluent, and college educated. The digital awareness campaign starts with sending the Heritage Homes message to a strategically designed target audience of potential home buyers and mobile home owners. These users are targeted with display ads on AL.com and re-messaged with display ads on the extended network, where the target audience can be reached on 97% of family-friendly websites. InStory video ads are also being used in the display channel. These videos are also placed in front of the target audience while they are reading content on AL.com. While the user is already engaged, these videos appear and therefore increase the likelihood of engagement with the ad. 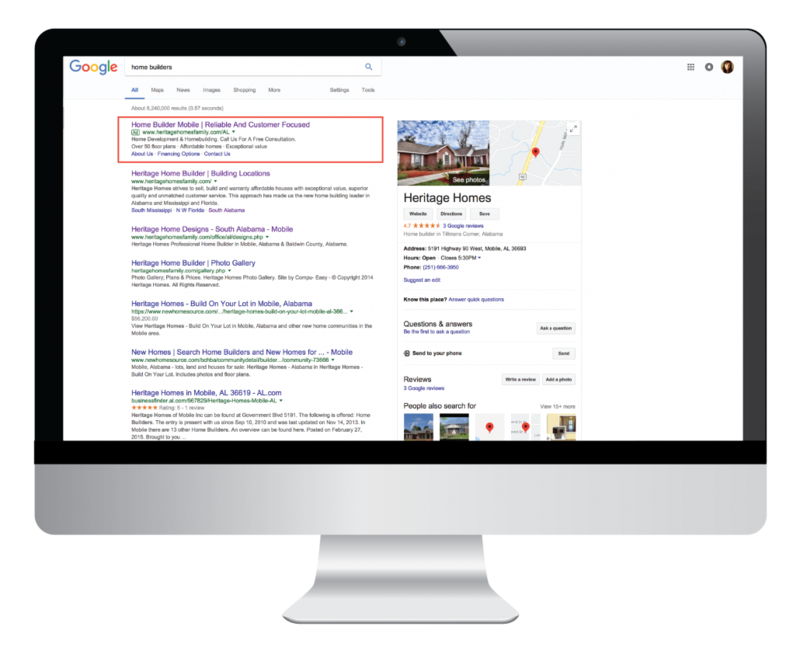 Alabama Media Group launched a search engine marketing campaign across the top search engines: Google, Bing, and Yahoo!, in three states across south Mississippi, south Alabama, and the Florida panhandle. 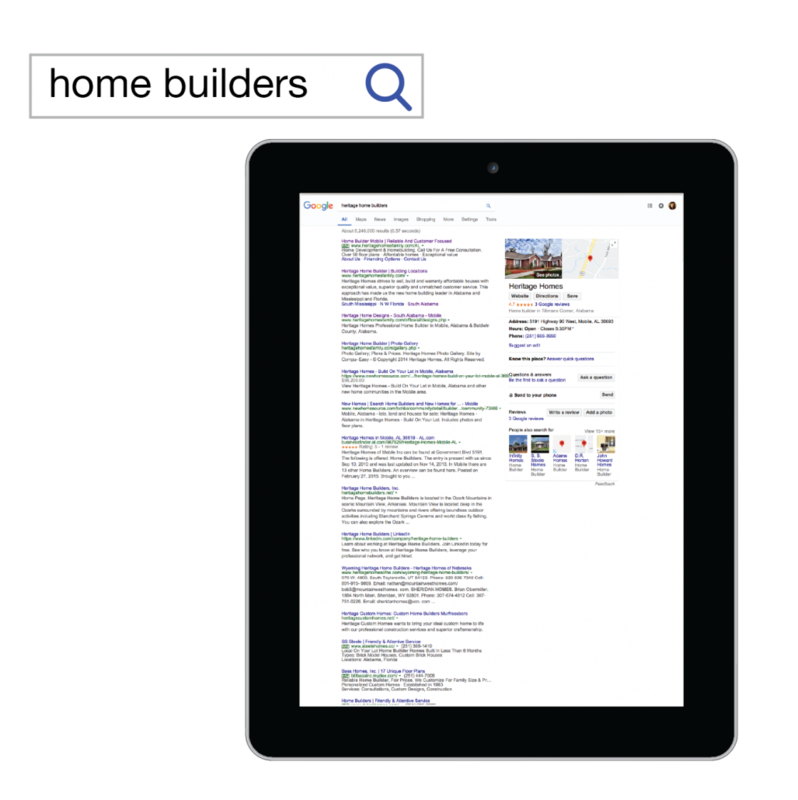 When users make relative searches to home building in these areas, they are served a Heritage Homes SEM ad. Alabama Media Group closely tracked performance indicators and optimized the campaign accordingly through ad copy and bidding adjustments. This campaign was launched to increase Heritage Homes’ presence when organic searches are made for home builders. 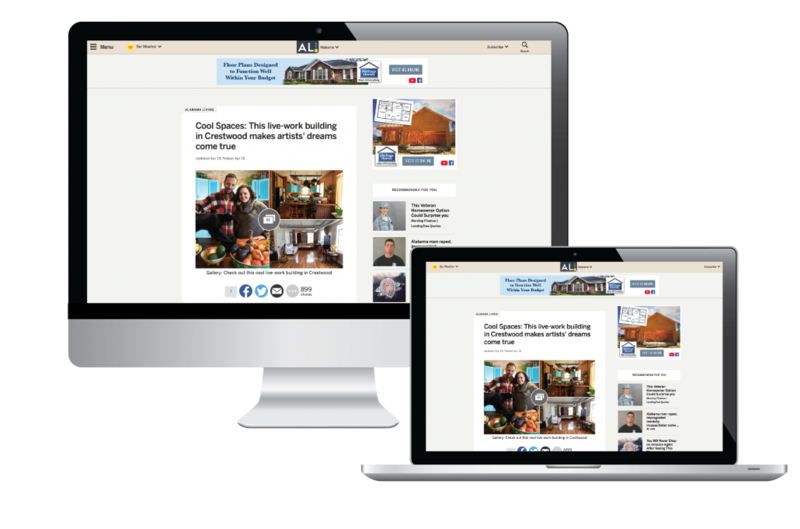 Appearing on page one and at the top of the page is important for clients, and this product was purchased to ensure Heritage Homes would appear where they are most likely to get clicked on organically. Partnering this with SEM made Heritage Homes top of mind when relevant searches were made. To learn more about Heritage Homes, be sure to check out their YouTube channel.